Pruning roses in Florida calls for the same procedure as pruning roses elsewhere. The difference is in the timing. 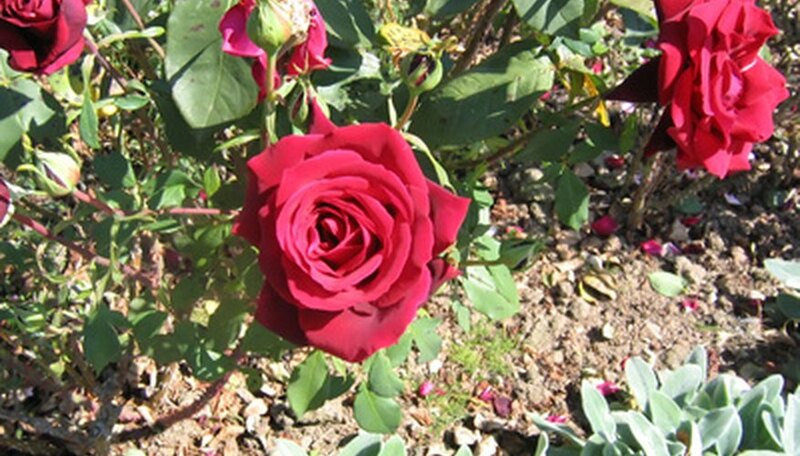 If you live in northern or central Florida, prune your roses in the winter (December or January). Southern Florida gardeners will need to prune twice a year, once in March and then again in late August. Keep in mind while pruning that all dead and diseased wood should be removed to its point of origin. When cutting newer wood, never remove more than half of the cane and make the cut back to an outside-facing eye. This is the area on the cane directly above a leaf or a leaf node. Cut the cane right above an eye that is facing outside the plant. Prepare a solution of 1/2 cup of Lysol and 2 cups of clear water in a bucket. Take this into the garden. Prune all thin and spindly growth (less than the thickness of a pencil) back to its point of origin. Cut off any dead or injured canes. Determine which canes are old and which are newer. Newer wood is smoother than old wood and it has dark thorns. Old wood is generally rough and gray with white thorns. Remove as much old wood as possible and cut newer canes no more than half their length. Remove diseased canes last. Dip the pruners into the disinfectant solution prior to cutting each diseased cane to avoid spreading the disease to healthy wood. Rake the planting area so that it is free of old mulch and pruning debris, bag it and dispose of it. Water the rose until the soil is saturated and the water puddles. When it drains, add a 3- to- 4-inch layer of fresh mulch 2 inches away from the rose, spread out the same diameter as the bush. Household bleach can be used as a replacement for the Lysol. Keep in mind that repeated use of chlorine bleach will rust your pruning equipment.